Apeejay Shipping has taken its second bulker in the space of just a couple of months, adding a 2004-built panamax, the 76,000 dwt Pugnani from UK owner, Embarcadero Maritime III, a joint venture formed by KKR and Borealis Maritime to invest in distressed shipping assets. Sources tell Splash that the Pugnani fetched about $11.5m, a firm price when compared to the $10.5m market value set by pricing portal VesselsValue. In September the Kolkata-based shipowner added another Japanese-built 74,107-dwt vessel, Cretan Wave, from Greek interests. 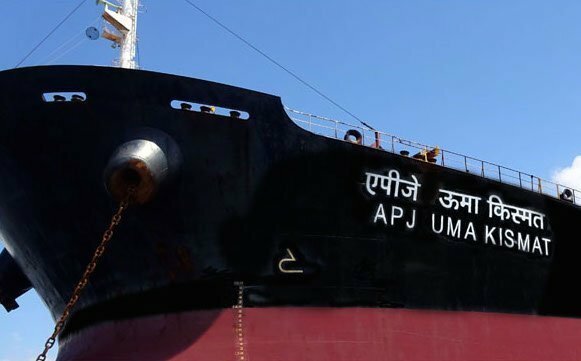 This ship has since been renamed APJ Uma Kismat. The Indian owner prefers to be quiet about its deals, keeping financial details and the identity of the seller discrete. The new addition will be the eighth ship the on the privately held Indian owner’s fleet list, all of which are in the panamax to supramax range.